If a private company wasted $2.4 Billion, heads would roll. 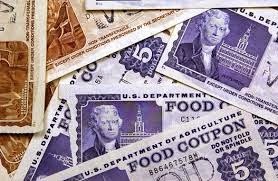 The U.S. Department of Agriculture (USDA) issued over $2.4 billion in improper payments on food stamps in fiscal year 2014, according to a new audit by the Office of Inspector General (OIG). In a report detailing the agency’s financial statements for the year, the OIG accounted for improper payments made from the most high-risk Food and Nutrition Service (FNS) programs. The OIG said the government has been building up the food “safety net” for decades, adding programs so that now one in four Americans now receive federal food assistance.